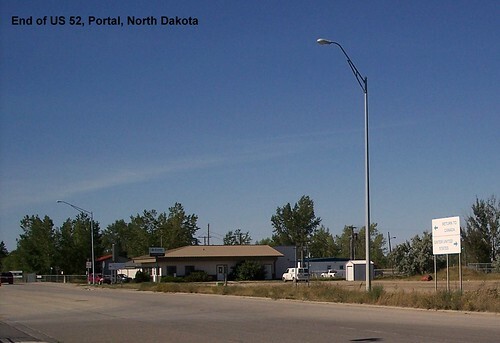 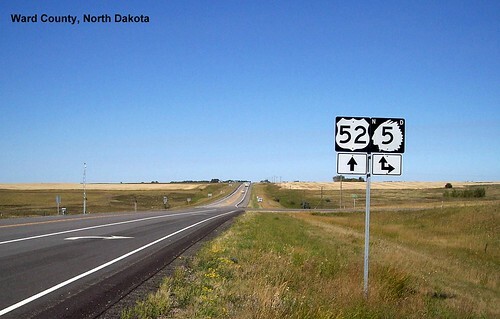 US 52 and I-94 entering Legendary North Dakota at Fargo. 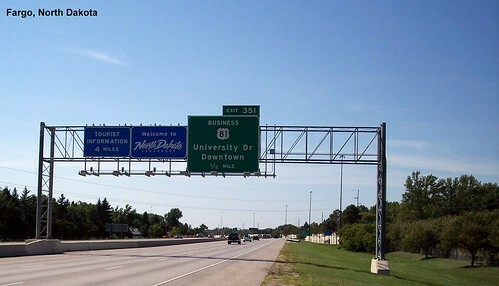 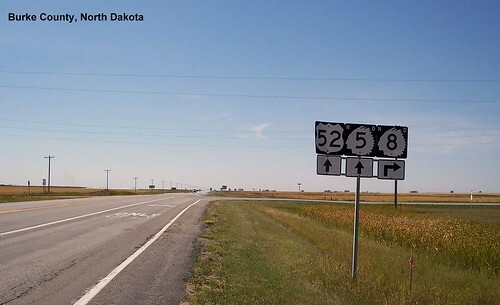 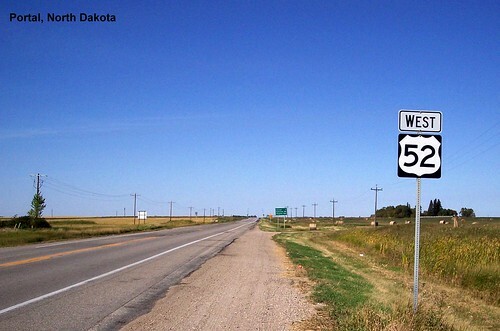 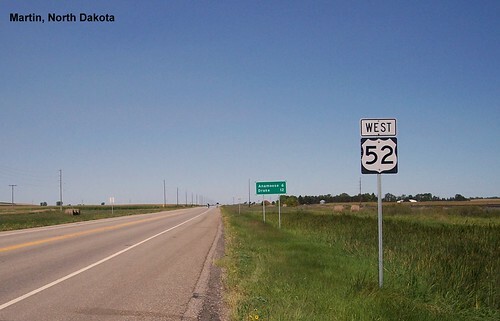 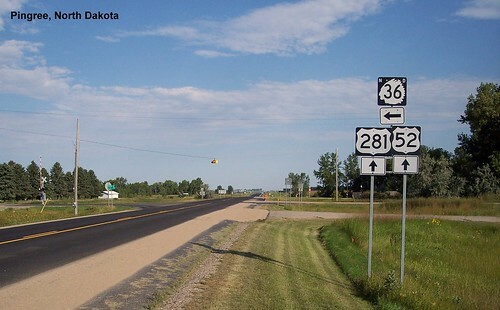 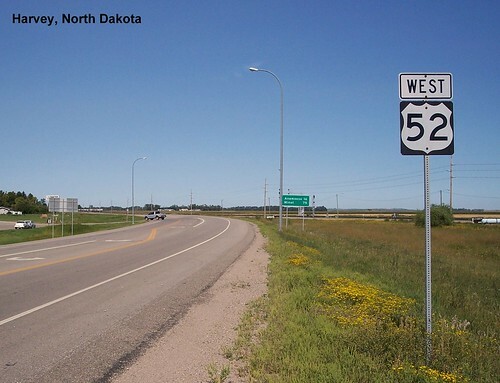 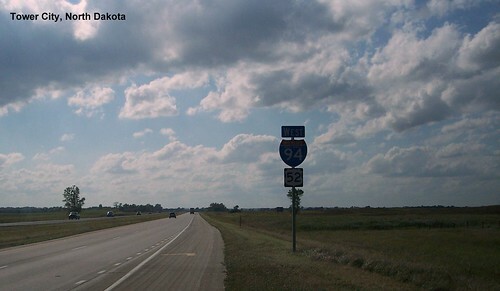 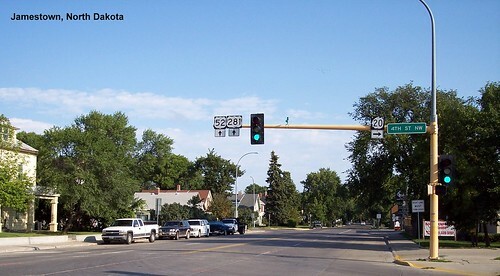 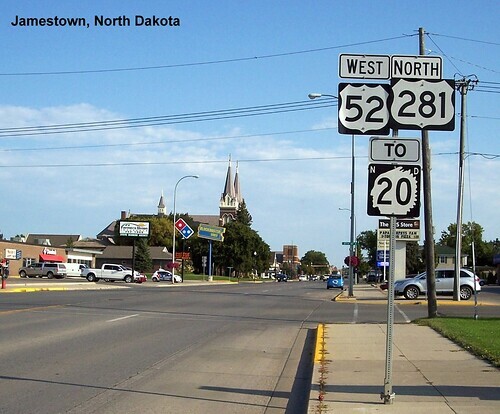 US 52 continues to share pavement with I-94 and in North Dakota both routes are signed. 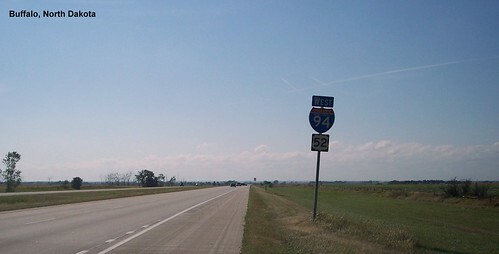 At Jamestown US 52 leaves I-94 and heads northwest. 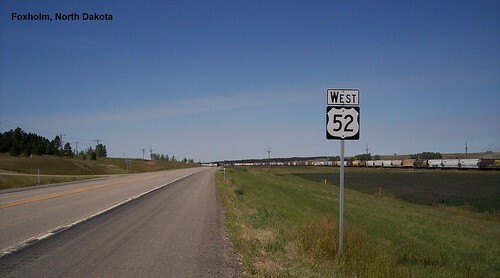 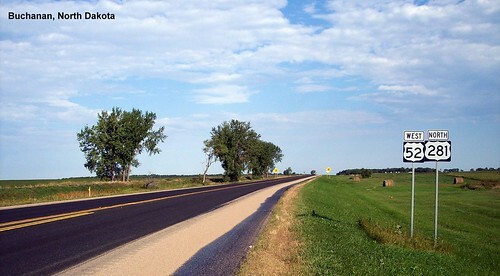 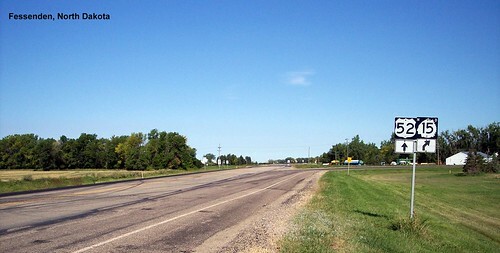 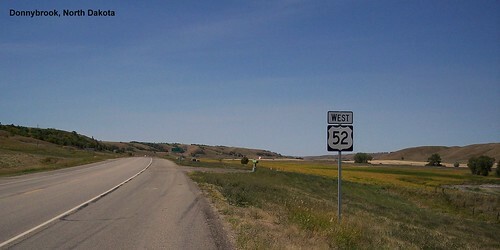 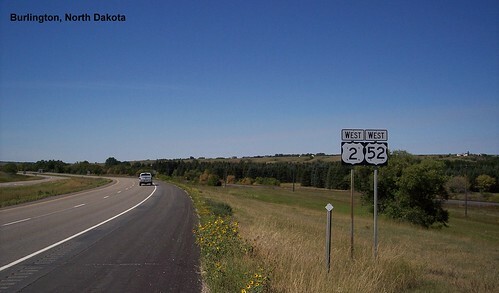 US 52 meets US 2 for a short time near Minot. 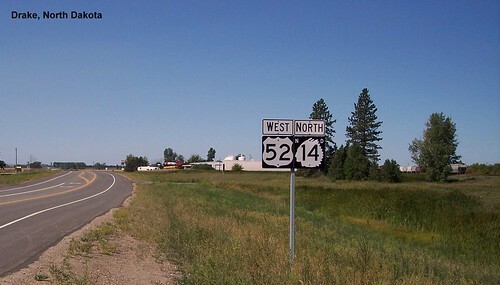 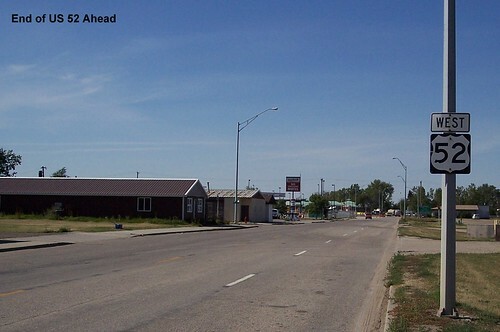 The last westbound sign on US 52, a couple of block from the end of the route at the Canadian border. 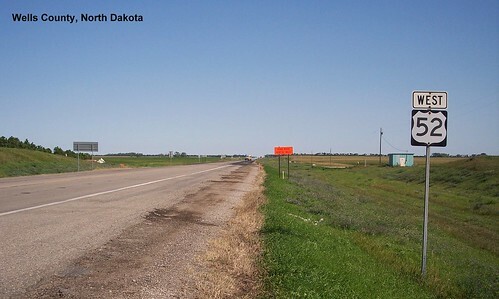 Closer to the border, at the last turnoff before the border crossing.